Chilly winter temperatures and shorter daylight hours make outdoor activities less than ideal. But all the more reason to put on some cozy slippers, don your comfy clothes (maybe even a Snuggie), and open a book that will take away your winter blues. Warm up with some of these great books, either for independent fireside reading or for cuddly storytimes. Dreamy illustrations, delicate colors, and gentle rhymes make this board book ideal for a cuddly bed time with a little reader. 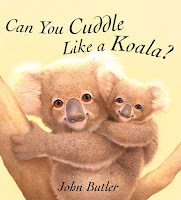 Author-illustrator John Butler will delight the very young with this interactive look at different animals and the way the move. Join Little One and Big Bear as they discover the world together, through every season. With gentle text and gorgeous illustrations that highlight the wonder of nature, the story ends with the start of winter, as mother and cub get ready to hibernate in their cozy den. 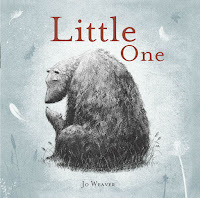 This quietly stunning book will make little readers want to cuddle up with the big ones in their lives, and vice versa. 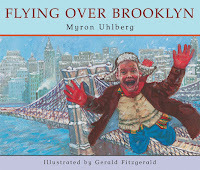 The young boy in this picture book finds whimsical inspiration in the blizzard around him as a strong wind suddenly lifts him into the air as he soars over familiar sites. This fantastical (while also historical) trip through a snow-covered wonderland will help readers gain a new perspective of their own wintery surroundings. Get lost in this exhilarating and imaginative escapade as Lily escapes from captivity and sets off on a journey to find her home, Lilliput. Inspired by Gulliver’s Travels, this chapter book transports readers to eighteenth-century London and traveling over rooftops, down chimneys, and into chocolate shops. In the playful homage to Charles Dickens, unlikely allies learn the lessons of a great friendship. The tongue-in-cheek romp through Victorian England will make readers forget all about the chilling weather outside. Add in the fast-moving plot, enjoyable characters, and emotive illustrations, and The Cheshire Cheese Cat will be sure to warm up any reader seeking some adventure. Looking for a complete change of scenery? How about the tropical island of Hawaii! Paul Silva lives in a paradise where he can see the ocean from his front porch. His father makes a living by raising and caring for roosters on their little farm, but soon Paul finds that the family business is tied to the underworld of cockfighting. As he struggles to understand his family’s livelihood, he learns that being a man has nothing to do with the wielding the power to hurt people and animals. The distinctive setting, unique topic, engaging story, and complex family relationships will capture any reader’s attention. There's nothing like digging into a good mystery during dreary weather. In this suspenseful chapter book, thirteen-year-old Samantha has too many unanswered questions about her past, like her father has never tried to contact her all these years and how he could have allowed her twin sister to drown in Clearwater Quarry when they were only toddlers. As she sets out to find her father and discover what really happened the day her sister was presumed drowned, she uncovers painful secrets that threaten to destroy her family all over again. Do You Know the Monkey Man? will draw readers into one family’s crisis unwittingly brought on by an adolescent girl’s search for the truth. Don't forget about the equally thought-provoking companion to the book, Yes, I Know the Monkey Man. A sharp, hilarious, and perfectly observed story of high school geeks falling in true love will definitely help cure the winter blues. Sam Kinnison is a geek, and he’s totally fine with that, and until Princess Leia turns up in his bedroom, worry about girls he won’t. Then Camilla Carter arrives on the scene. Sam is determined to ignore her, except that Camilla has a plan of her own—and he seems to be a part of it! Sam believes that everything he needs to know he can learn from the movies. But perhaps he’s been watching the wrong ones. Read this charming modern YA story to get ready for Melissa Keil's follow-up, The Secret Science of Magic.